It's sounds like the premise of a reality TV show. Give 28 high school upperclassmen from seven different schools $25,000 and let them figure out how to spend it. 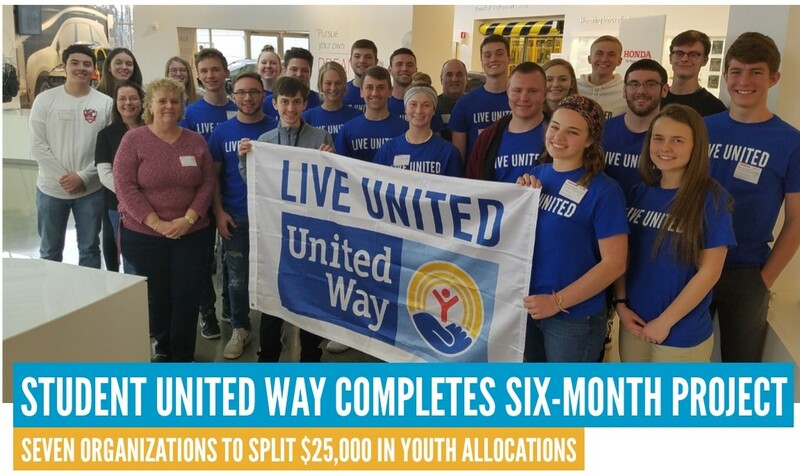 And yet that exactly describes the six-month project completed this month by the Student United Way committee of United Way of Logan County. The panel of juniors and seniors representing every district in the county came to consensus last Thursday to conscientiously allocate donor dollars among seven local organizations serving youth. Logan County Family & Children First Council will receive $6,152 for their 10-week "Why Try" class, a nationally recognized program for at-risk teens and their parents to look at problem behaviors and positive responses. The Indian Lake High School Students Against Destructive Decisions group is receiving $5,000 to conduct Challenge Day, a program that addresses bullying, violence, cliques, negative judgements, harassment, intolerance, racism, sexism, suicide, drug abuse, and depression. $3,753 is headed to Indian Lake Community Church to support The Lookout after-school and summer program for middle and high school youth. The Logan County Sheriff's Office will receive $3,432 to present life skills curriculum in the Juvenile Detention Center. Bellefontaine First United Methodist Church will receive $3,163 for their new Community Youth in Action, designed to teach teens landscaping, painting, and minor home repair skills by working on service projects in the community. $2,000 will be going to the Logan County Coalition for Opiate Relief Efforts to help 6th and 9th grade students throughout the county to learn risk factors for suicide and help kids learn for signs of distress in their peers. And the Summer Enrichment Academy will receive $1,500 to provide scholarships for up to 20 kids during its week-long program in June. "Student United Way teaches many valuable lessons, such as teamwork, compromising, formulating opinions, and interacting with other students," said Audrey Slemmons, senior at Calvary Christian. "I enjoyed hearing others opinions and listening to what the applicants had to say on interview day." This year's Student United Way started last October, when the teens were exposed to the social service needs facing local families by participating in the Cost of Poverty Experience simulation. After establishing their own criteria for how they wanted to spend the money, the students received 14 applications from local organizations requesting more than $70,000. They whittled that down to nine entities from whom they invited representatives to come present before the group to pitch their programs. A lively discussion at the final meeting last week involved much give and take to hammer out the final details. "I didn't like saying 'no' to groups we weren't going to be able to fund," said Ethan Fulkerson, a junior at Indian Lake High School. "It was eye-opening, seeing how many organizations are making a difference in our community." 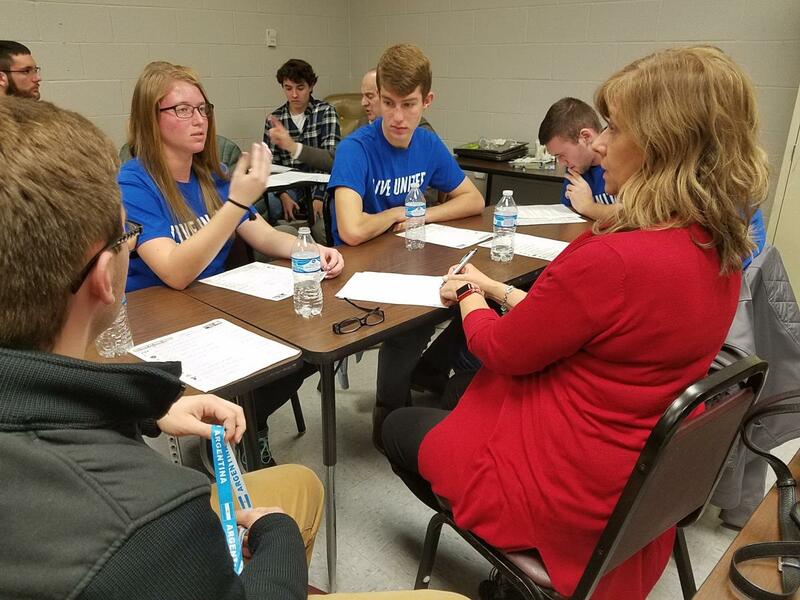 The leadership development program is designed to give students a voice in discovering solutions to the unique problems facing Logan County. Student United Way meets once a month at a different location. 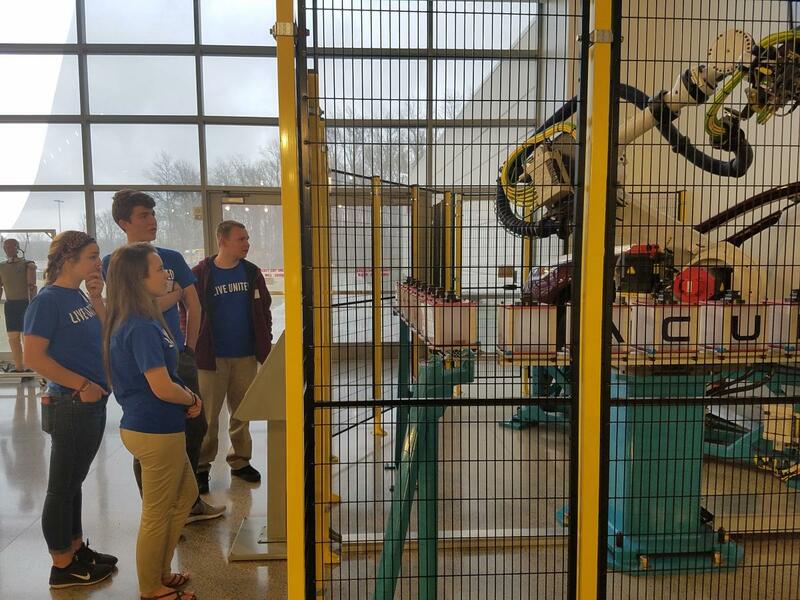 Beyond the poverty simulation, students toured the Logan County Jail, visited Recovery Zone, met at Green Hills Community, and learned the importance of personal and corporate philanthropy at the Honda Heritage Center. "There is a lot of need in our community and plenty of places where we can serve and give," said Garrett Reinhard, a junior at Calvary Christian. "The only way taht we can solve the problems in our community is through active participation of our citizens and a focused effort on improvement.  This experience has shown me how blessed I really am and how much I have to be thankful for." "It just gives you a good feeling when you know that you are helping people and giving back," said Chloe Spencer, a senior at West Liberty-Salem High School. "Also, it is very humbling to be around others that do this on a daily basis. This group was so much fun to be around and it was unbelieveable that we were able to help so many." Student United Way will start up again in the fall.